WHAT IS AN AIR BOSS? WANT TO BE AN AIR BOSS? Do you want become involved in the airshow industry but not sure how to get started with becoming an Air Boss? Head over to the ICAS website to get started on your journey! Showline Airshow Services directed their first show in 1992 and has since has been involved as Event Consultants, Air Operations Director, and Air Boss at airshows in both Canada and the United States. Showline is able to provide the experience drawn from the aviation and event professionals that make up the company. Donna Flynn started in aviation when she obtained her private license in the winter of 1987. She soon followed with a commercial license in 1989. While working through her licenses she caught the airshow bug while volunteering at the Vanderhoof International Airshow. Working on the flight operations side of the show, she was involved in other interesting projects including Joann Osterud’s inverted flight records. Along with a partner in 1992, she started a float-based business in Fort St. James, British Columbia. This kept her busy in central and northern B.C. until 1998 when she started an airshow based business and in 2000 she made the move to Vancouver, B.C. 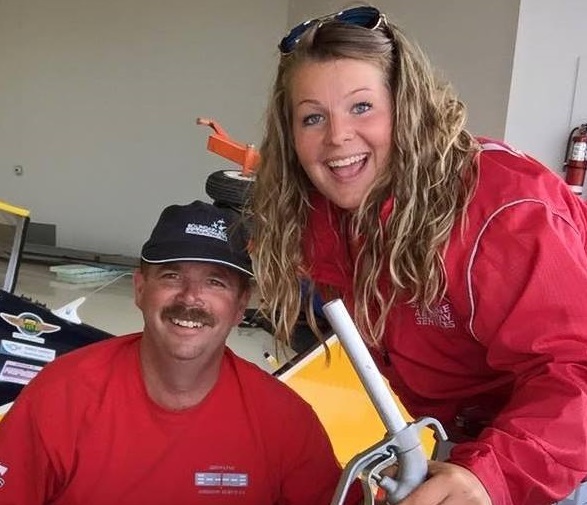 Along with another partner, she started Showline Airshow Services Ltd., which specializes in the Air Bossing and Flight Operations of an air event. Soon after she took over the business completely and during a typical show season she will work anywhere from 8 to 10 airshow events. Donna has completed over 400 show and media days at over 40 sites in Canada and the United States. She has worked with all the North American jet and skydiving teams. Some of her show sites include San Francisco’s Fleet Week; Saskatoon’s famous Veteran event, The Canada Remembers Air Show; The Canadian International Air Show in Toronto, ON; Niagara Falls, ON; Yellowknife, NWT; London, ON; Vancouver, BC; Edmonton, AB; Vandenburg AFB, CA; Catalina Island, CA; and Klamath Falls, OR. We are proud to add NAWS China Lake to the list this year. The Air Operations team works closely with each of the regional FAA/Transport Canada representatives, air traffic control and airport management to ensure compliance with regulations and to smoothly integrate the air operations plan into existing air traffic procedures and airport Emergency Response Plans. The team is fully insured and self-contained with communication equipment and logistic support. They are experienced with directing aviation events within concurrent commercial operations and at military airfields. 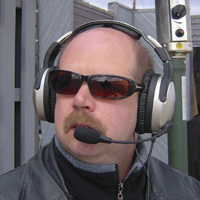 Ray Firkus, seasoned Air Boss of the Chilliwack Flight Fest has joined the Showline team. Ray works hand-in-hand with crew at many sites throughout the year and takes the lead on many as well. As an AME of over 25 years, Ray also brings a vast amount of aircraft knowledge to the Showline Team. With his involvement of Showline, we have since be able to take on more than one show a weekend and has enabled Showline to offer a Ramp Operations team to the industry. Dan, a valuable member of Team Firkus, was quickly picked up by Showline for the Chilliwack and Boundary Bay shows! Dan’s knowledge as an AME gives him the confidence to be an asset on the ramp and his can-do attitude helps facilitate the flow of the show! Without question, he is an intricate part of the Showline Team! 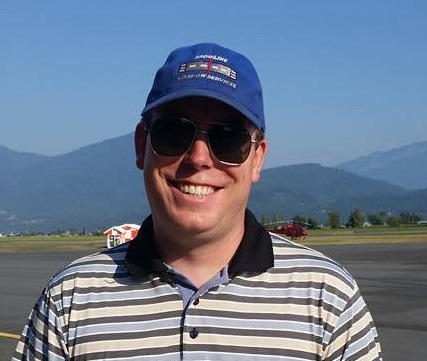 Kyle S. has worked in various capacities of the airshow industry including on the ramp, flight operations, and with the Air Show Network, and Kyle brings 15 years of airshow experience to the Showline Team. Kyle has worked on shows in Fort McMurray, Bounary Bay, and Chilliwack. 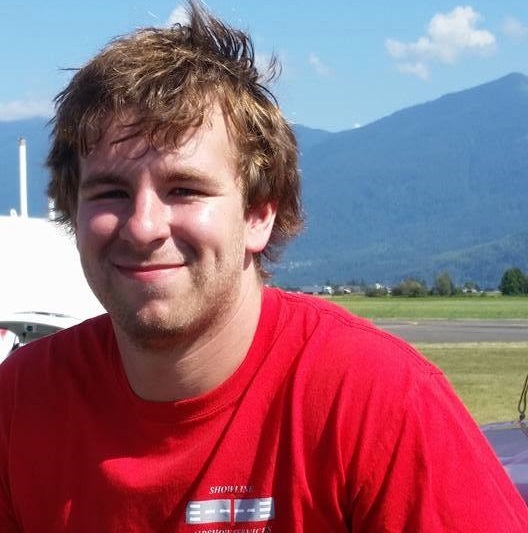 Kyle is currently working on his pilot’s license and plays an important role in the foundation of Showline! Kyle F. is a third generation aircraft mechanic, and has been involved in airshows since an age when most are still a spectator. He has worked the Fort McMurray, Edmonton, Chilliwack, and Boundary Bay shows. 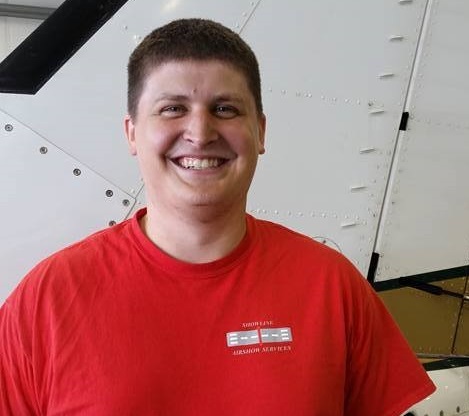 Kyle is also currently working on his pilot’s license and his passion for aircraft makes him an instrumental part of the Showline Team! Kelsey grew up around airshows, and as our website and social media expert, Kelsey provides an outside view to our crew. 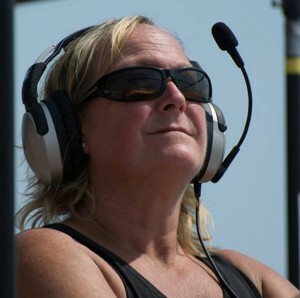 Having been on the road with Showline for the past three years, you will see her on the headset with Donna or pushing aircraft on the ramp with the boys! Ramp Crews are also available through Showline! They will manage all your ground aircraft movements to ensure that safety requirements and performer needs are met. Please ask if Ground Operations are needed at your show!